When I started my career as a graphic designer, I never imagined the variety of businesses that I would come to know thanks to my amazing clients. I’ve worked with attorneys, schools, home builders, chefs, animal non-profits, produce companies, photographers, electrical contractors, and so much more! It’s been wonderful to be able to learn so much about so many different industries! There are still a few clients from my very first year in business that continue working with me today, almost 11 years later. One of them is the San Antonio Chamber Music Society, a non-profit organization that brings outstanding chamber music concerts to San Antonio. 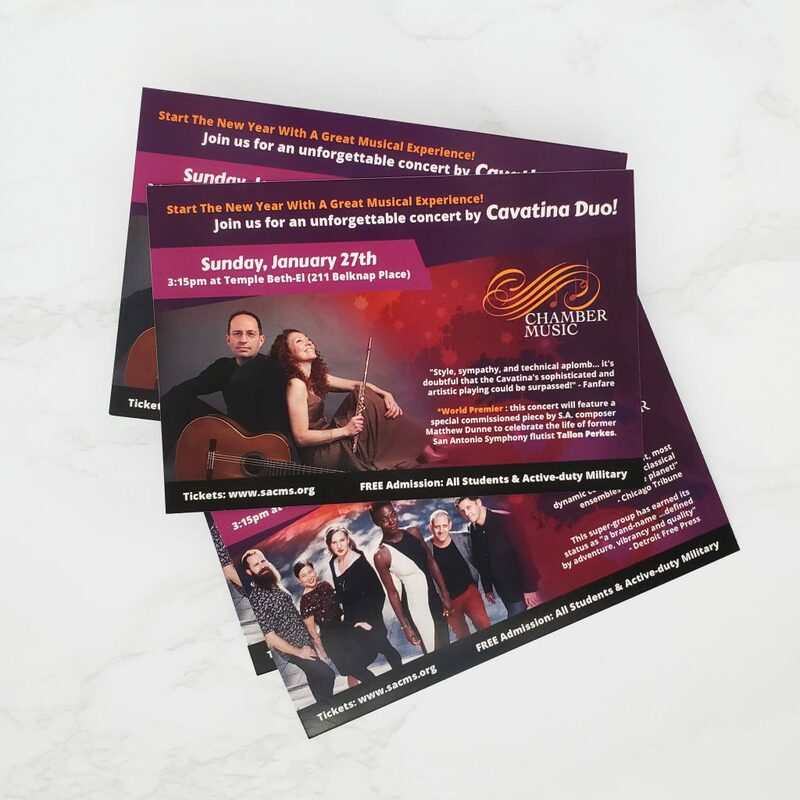 For over a decade, I’ve designed, revamped and maintained their website as well created a few promotional pieces like these postcards that are promoting two of the next concerts in their 76th season. I feel so much gratitude about the opportunities that I’ve had to work on such diverse projects but more than that, I am thankful for the long-time clients that have been with me from the start, like SACMS!